With the sheer volume of new feature slot games constantly being released, you might think a 3-reel slot like Fire Joker is so “last season” but you would be wrong. There is still a huge demand for 3-reel slots and the most recent ones have their own features to make them as exciting and advanced as any of the competition out there. Fire Joker comes from the creative labs of Play’n GO, one of the most innovative game developers out there. This slot game, while simplistic visually, has some great features that will appeal to many slots lovers. Want to know more about this video slot? 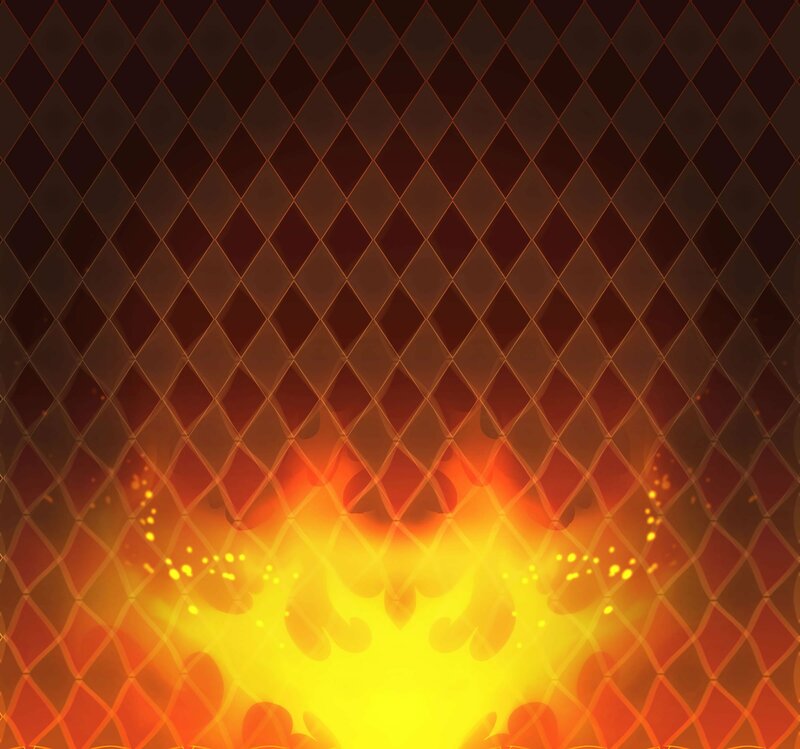 Let’s dive into the red-hot world of the Fire Joker! 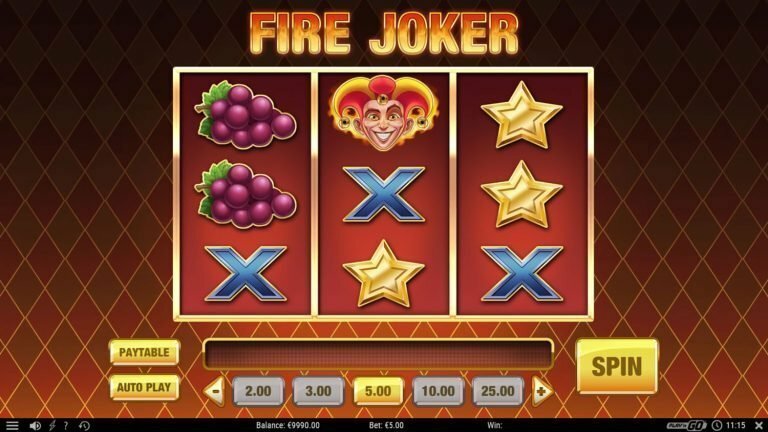 Fire Joker is a slot that takes you back to the traditional 3×3 reel layout. Graphically, the game is attractive with its crisp images and fiery colors. Play’n GO were trying hard to maintain the charm of a classic slot machine but with a little bit of a modern twist. The sound effects and music definitely help build up the excitement as you get fired up to win. In keeping with its name, things often tend to heat up as you play, with the reels often stacking joker upon joker to give you some easy wins. The game has 5 fixed paylines, so all that you need to do is just pick a stake between 0.05 and 100 and let it rip by pressing the spin button. You may also sit back, relax and watch the winnings roll in by letting the auto-spin feature do all the hard work for you. The game adds a little spice by having special bonus features that can multiply your winnings or make it easier to win such as Stacked Symbols, the Re-Spin of Fire and the Wheel of Multipliers. The reels have your typical retro slot machine symbols – Xs, cherries, lemons, grapes, bars, bells and lucky 7s. There is also the devilish Fire Joker, who is the is the wild symbol and the top paying symbol too. Besides substituting for any of the other symbols, 3 Fire Jokers on a payline will reward you with x80 your stake. Re-spin of Fire – When two of the reels have the same symbols and you’re missing the 3rd symbol to form a winning payline, then you are given a second chance to win as the Re-Spin of Fire takes over and it re-spins the reel with the missing symbol. The reel in question gets a fiery frame around it, while it attempts to bring you the symbol you need for the win. Wheel of Multipliers – If you manage to stack all three reels with the same symbol (something that actually happens more often than you would imagine), a wheel with multipliers on it appears, ranging from 2x to as much as 10x. When the wheel comes to rest, the multiplier gets applied to your winnings that triggered the round. As you would expect from this simple, classic slot format, there are no free spins offered. However, the Re-Spin and Wheel of Multipliers certainly make up for this. The jackpot is, in essence, getting three Fire Joker symbols on a payline. The slot is not linked to any progressive jackpot, nor does it have any kind of minor / major jackpot seen on many simpler slots like this. With only three reels, Fire Joker gives you 5 paylines, three running horizontally and two diagonals. However, the fewer options for combinations may just be what makes it such a great game to play, as you feel like you are likely to win more often. Fire Joker has a return to player percentage of 96.15%. Fire Joker, with its medium volatility, pays out often but the winnings are generally lower than the more higher volatility slots. All in all, Play’n GO has done a fine job keeping the classic three-reel slot up to date with Fire Joker. The game boasts all the features a solid slot needs and has great gameplay options that will keep you a lot more absorbed than you might have thought possible with older 3-reel video slots. As you would expect from a 3-reel slot like this, you may wait a while for the really big winning combinations on its 5 fixed paylines, but the reasonable RTP means you should make some decent cash all the same. If you’re looking for a break from the more complex, hundreds of paylines, feature slots, then Fire Joker is a great choice.